The Grayguns Custom CZ Guide Rods are made from proper material, hardened and stress-relieved to withstand a lifetime of hard use. They are available in two finishes and are guaranteed for life against galling, ringing or breakage. 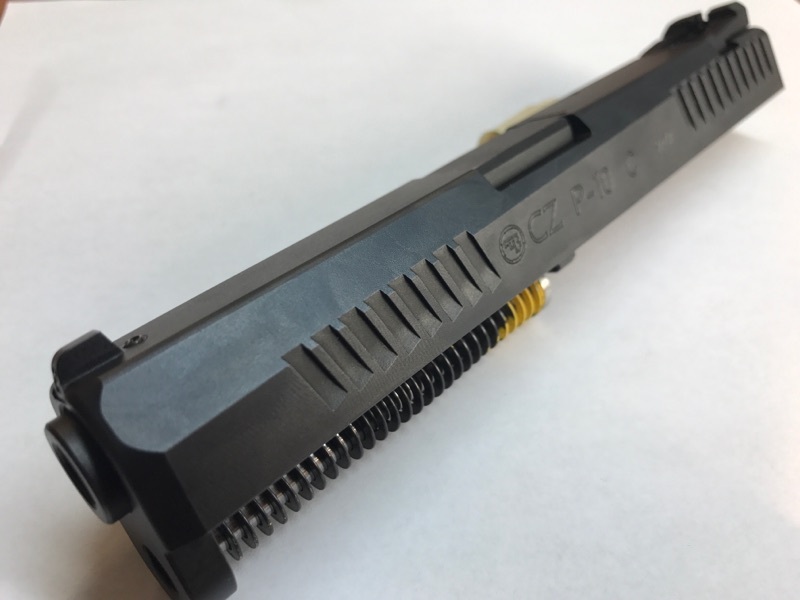 This particular guide rod is for the CZ P-10 C in 9mm. `Grayguns’ custom CZ Guide Rods are designed for maximum service life and smooth, reliable function. Our CZ Guide Rods are available with your choice of a Reduced Load Competition Spring (15 pounds) or a Factory Equivalent Spring. 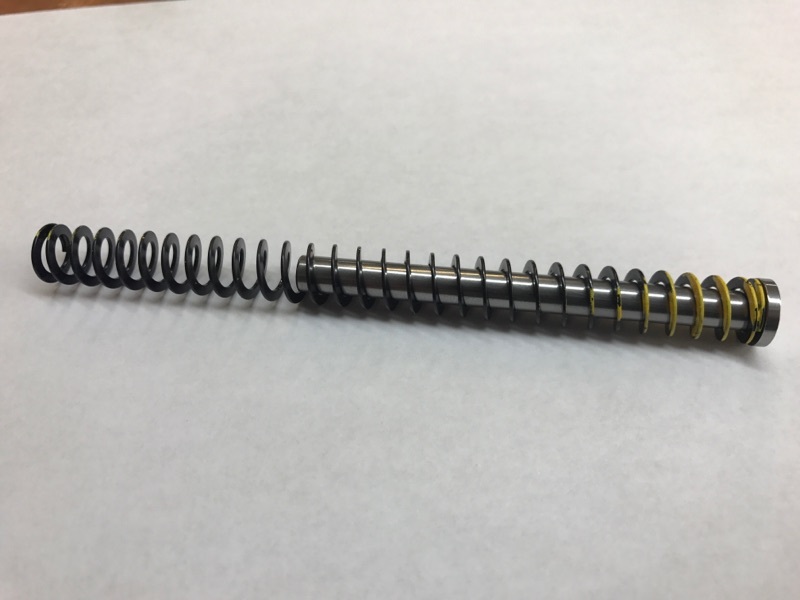 Our Factory Equivalent Spring is equivalent to the OEM spring, but it is specifically designed for use with our un-captured guide rod design. 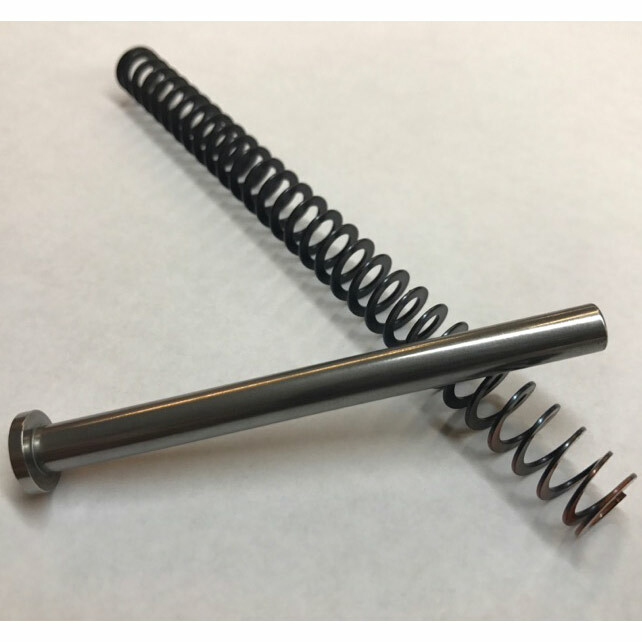 Easily change out springs to match your shooting needs in less than a minute with no damage to the guide rod or spring. 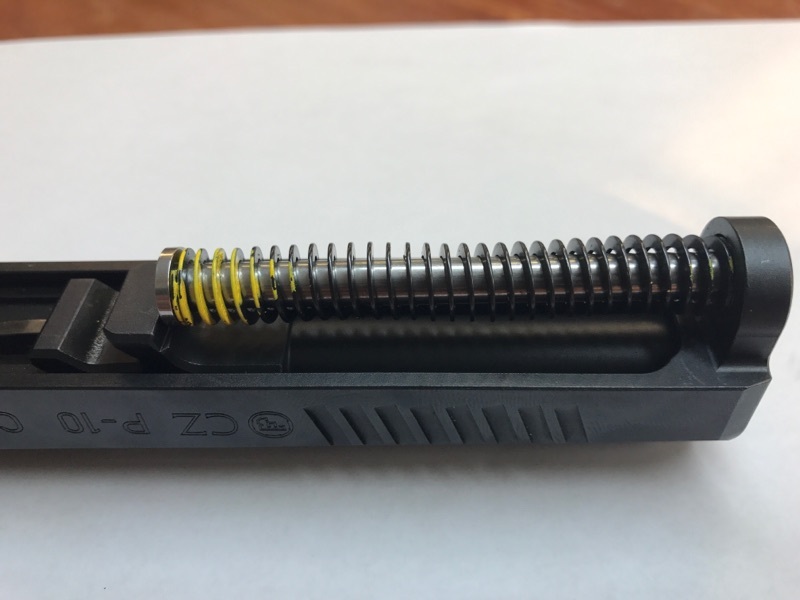 Although our un-captured CZ Guide Rod will work with the factory spring, our guide rod includes your choice of spring because removing the spring from the factory captured guide rod frequently results in a destroyed flange. Unlike other, cheaper products, our guide rods are made from proper material, hardened and stress-relieved to withstand a lifetime of hard use, are carefully polished or finished in our ultra-durable Super Black, and are guaranteed for life against galling, ringing or breakage. A lot goes into such a simple-looking part, and there are none better. 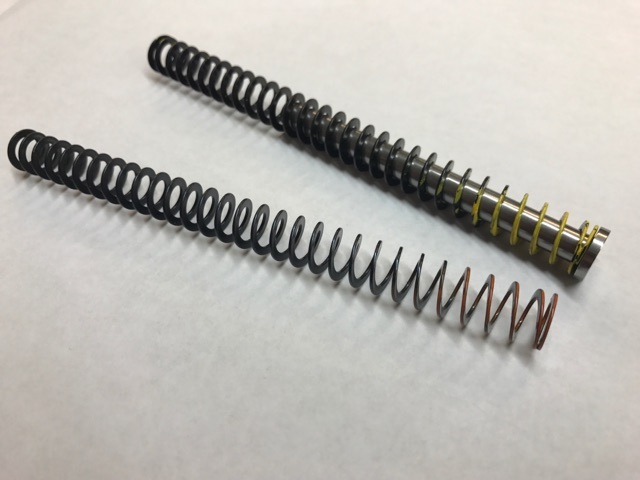 Both Reduced Load Competition Springs and our Factory Equivalent Spring are available for standalone purchase.